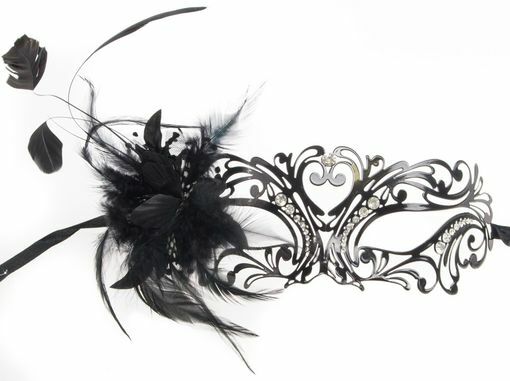 This extravagant metal mask is great for any masquerade or black tie event. Mask is hand painted and adorned with faux crystals. Comes with black ribbon ties. Mask color black.